Finding the right guy can sometime be hard and once you think you've found a good one, you run into a wall of even more difficult-to-answer questions. How do I know he really loves me if he never says it? Are there signs he's giving me? The answer to those questions can help us determine if the man we've found is a good one, and the right one, or if it's time to cut our losses and move on. It's a classic story: you've met an amazing man. He makes you happy, he's romantic, funny, sweet-everything you've ever dreamed of. You've been together for some time now, and you are definitely feeling the magic. You're head-over-heels in love, but he's not really showing the same feelings. Worse, he's not putting them into words. What could this mean? Have you done something wrong? Is he just not that into you? There are many reasons why your man hesitates to say those three words. Biological differences in the set-up of a man's brain versus a woman's brain, society's opinion of how men should conduct themselves, and even his past experiences will all play a role in how he deals with telling you (or showing you!) how he feels. There's many reasons why men don't usually show their feelings, but one scientific reason is because part of our brains that allows us to think and feel at the same time is larger in women than it is in men. This makes it easier for us, but harder for men, to talk about feelings. So no surprise that, we women are champions of talking about our feelings and that men are not. And with our ability to roll out the psych talk... Your man might not tell you how he feels for fear of you wanting to talk more about it, especially if he's not ready to. On the other end of that spectrum, we have men who...genuinely don't think about their feelings. He might not be telling you he loves you, because it hasn't occurred to him that he does. He's so used to not discussing how he feels, he literally forgets he can. You might have a man who thinks there's no need to vocally express how he feels. He's with you, so that should be enough of a declaration of his feelings in his eyes. He doesn't realize you might need more from him. For men, actions speak louder than words do, so If he's making plans for you both for next summer...that may be his version of "I love you." Men are just as vulnerable to heartbreak as women.If your man has been left heart broken before, it may take him longer to open up about his feelings. He's afraid of the same thing happening again. Society conditions men to keep their emotions under wraps. While little girls are encouraged to show their emotions and learn to express them, little boys are (historically speaking) encouraged to keep their feelings to themselves, or only show them at certain times. "Big boys don't cry!" means a lot more than not crying over that skinned knee. Your man might not tell you how he feels because he's been taught to keep that nonsense to himself. Due to society's tendency to do this to them, men often don't know how to express their feelings. They are discouraged for so long from being outwardly emotional, that it is something akin to culture shock when they enter a relationship and find that they are now expected to discuss their feelings. Years of not showing emotions will stunt their ability to do so. Emotional men, the ones who are able to talk about how they feel and express it, are often teased as being "feminine." For that reason, many men avoid discussing feelings because they don't want to appear feminine. Men are taught to deal with emotions through physical action, not discussion. Do you ever bring up the subject? Hint around to see how he feels, only for him to blow you off entirely? He might not be ready to think about it. Discussing emotions forces him to look at himself, and he may not be ready for that. Some men place a certain emphasis on the words "I love you." They believe they should feel a certain way before those feelings can be identified as love. If he's not feeling how he thinks he should, he may not want to say words he isn't sure he means yet. There is a reason that no woman wants to consider. Is it possible he's not saying he loves you...because he doesn't? According to Psychology Today, we often use "enabling fictions" to help convince ourselves of what we'd like to believe rather than facing the truth. We do this in numerous ways. A woman who doesn't want to face that her man may not love her after all will convince herself of just about anything rather than face that harsh reality. She may blame his upbringing, his work, or even his stress levels for his failure to communicate his feelings for her. Though facing this reality can be both frightening and painful, sometimes, it is necessary to either further the relationship or accept the end of it. On the other side of the coin, he may be afraid that, if he does say it...you might not say it back. Just as women are often afraid to be the first to say "I love you," just in case their man doesn't say it back, men are just as vulnerable. Perhaps even more vulnerable, given the taboo placed on their emotions by society! Many men are much better at showing how they feel throughout the way they behave, but how do they do it? I was in a relationship once for about two years, and he wasn't much of an emotionally available type. Although that relatio﻿nship didn't work out, I did come to see that he often showed me how he felt, although he never said it. When you talk, his attention stays right on you. He might even set some time aside from his day just to talk with you, to reconnect and see how you're doing. Rather than a generic response, he has genuine input in answer to your conversation. Although some men aren't big on physical displays of affection, your man might express his feelings for you this way. Cuddling, hand-holding, playing with your hair, even finding an excuse to touch you in passing can all be silent "I love you's." My ex was a hand-holder; it didn't matter where we were, he wanted to hold my hand. Have you ever watched those romantic movies in which the couple kiss and when they break apart, the man is smiling as though he just won the lottery? That smile signifies the feelings the woman he's kissing inspires in him. Even a small smile can reflect your man's feelings after he kisses you. Friends and family are important to most men. They care about the opinions of these people as to the woman they're dating, and won't bring a woman they aren't serious about around. If he's brought you to Sunday dinner or out with his friends, he's telling you that you are important to him and he wants these people to get to know and like you. Once, I mentioned to my ex that there was a bracelet my grandmother gave me when I was a little girl that had been lost. For my birthday, he got me a replica of that bracelet. A man who puts that type of thought into a gift for you, looking for something he knows will have meaning to you and isn't just some five dollar item from the gas station he grabbed on his way home, definitely cares quite a bit about you. 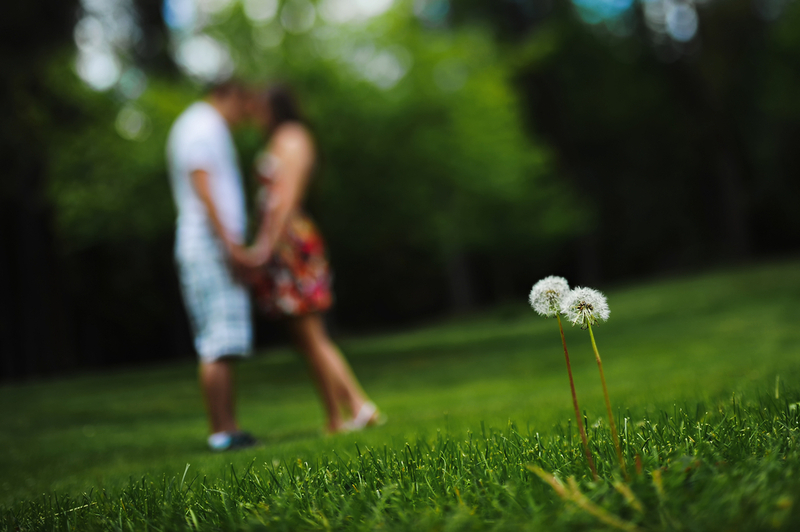 If he's making plans for you both for next summer, that may be his version of "I love you." In this age, certain pet names like "baby" or "sweetheart" can seem like a throwaway. Rest assured, though, that if your man uses these pet names for you, it's because you hold a special place in his heart. He might even make up his own nickname for you. Men aren't as mysterious about their emotions as we think, ladies. They just don't show them the way that we do. Whether he's the "strong and silent" type or the emotionally open type, if he loves you, he'll let you know. If you're having trouble reading him, let him know; he's not a mind reader any more than you are. Do you have a man who shows you his love rather than saying it? Share with us how in the comments below! 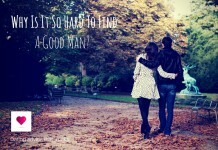 Previous articleWhy Is It So Hard To Find A Good Man? Next articleHerSmile Review – A New Way Of Dating?